This was the first book ever published on the TypeScript programming language. If you are looking to learn TypeScript, my up-to-date book is Pro TypeScript (Second Edition). This book is the perfect introduction, covering classes, interfaces, enumerations, generics and more. I found it very a useful way to learn the language and easily followed the clear and concise code examples. Thoroughly recommended. 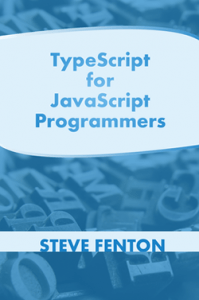 This book takes you through each skill that you need to learn TypeScript step by step, so you can follow along and observe TypeScript in action. This is a short book, easy to read and follow, and you will know 99% of Typescript when you finish it.